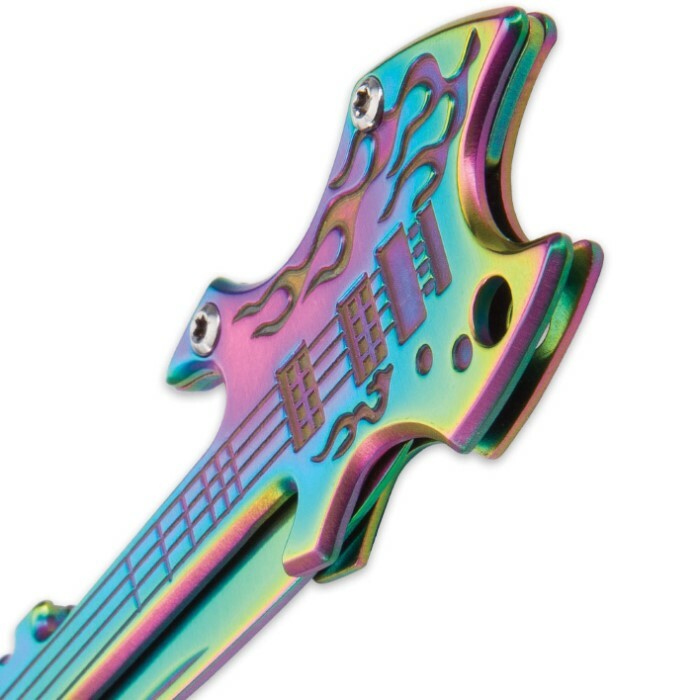 Looking for a pocket knife that fits your Rock n' Roll lifestyle?!? 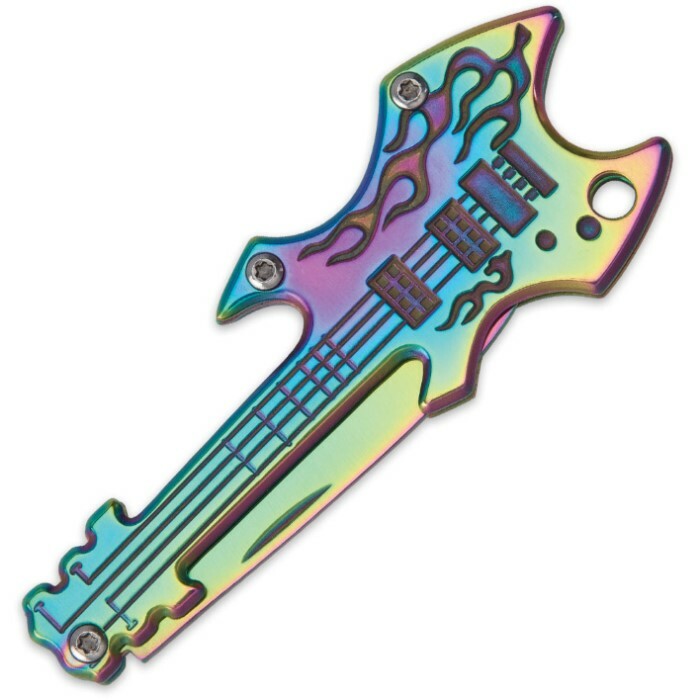 Our Rock N Roll Rainbow Guitar Pocket Knife has a handle that is expertly sculpted in stainless steel into the shape of an electric guitar. 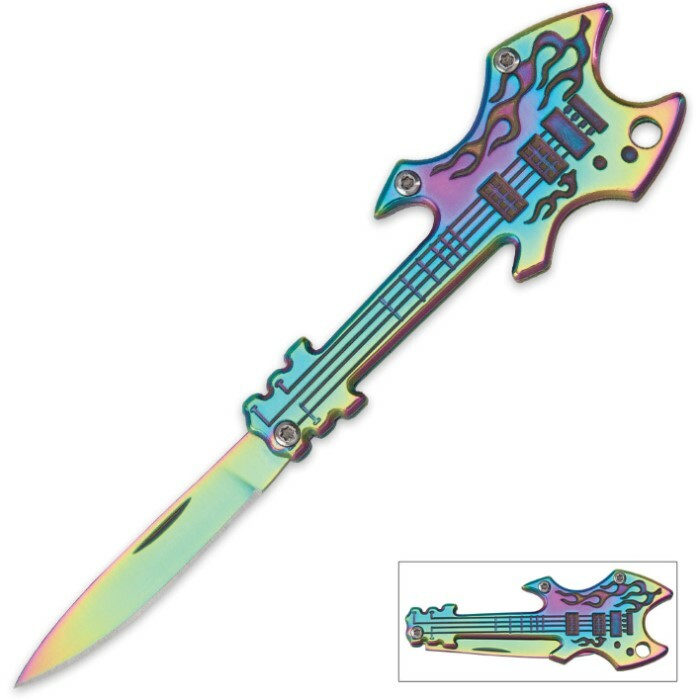 Complete with flame details and a rainbow finish, the pocket knife has a 2” stainless steel blade that is sharp and, when it’s closed, it measures in at 3” in length.